Written By: Lieutenant Colonel Richard V. Barbuto, USA-Ret. Hundreds of thousands of tourists visit Niagara Falls each year to view this magnificent natural wonder. Yet two hundred years ago, the Niagara region was the scene of fierce battles and desperate skirmishes during America’s second war with Great Britain. The thirty-seven mile long waterway that connects Lake Erie with Lake Ontario is more accurately a strait rather than a river. In 1812, it marked the border between the province of Upper Canada (present day Ontario) and the state of New York. Flowing north from Lake Erie, the river has low banks and is easily crossable by boat. Once past the mouth of the Chippewa River however, the rapids lead to the falls. Niagara Falls is the geological result of water flow over the Niagara Escarpment. This 180-foot tall ledge extends across the Niagara Peninsula in Canada and well into New York. Over the millennia, the river carved a steep-sided gorge between the falls and the lip of the escarpment. As the river emerges from the gorge, it flows between high banks that are an impediment to cross-river traffic. In 1812, the river valley was dotted with small farms and settlements. These Canadian settlers were largely refugees displaced by the American Revolution, sprinkled with a number of newcomers who were born in the United States and immigrated to Canada for cheap land. After years of tensions with Great Britain following the Revolution, the United States declared war on 18 June 1812. President James Madison had two primary goals for the war effort. The first was to force Britain to stop seizing American ships, cargoes, and sailors on the high seas. The second goal was to persuade British officials to cease inciting Indians to attack American settlers in the west. Aware that American naval forces were too weak to decisively challenge the Royal Navy, Madison set his sights on the capture of Canada and reasoned that Britain might be willing to trade concessions for the return of Canada. Thus, Madison ordered three invasions to quickly take the major cities of Canada, most importantly Montreal and Quebec. One of these offensives would be across the Niagara River. Daniel Tompkins, governor of New York, gave command of the invasion force that was to cross the Niagara to Stephen van Rensselaer. Van Rensselaer was a major general in the militia and the richest man in the state, but he had no military experience. 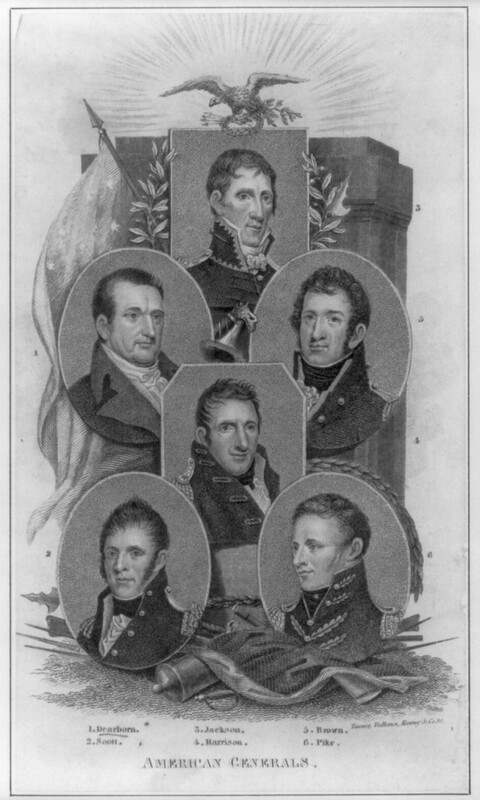 He selected a cousin, Lieutenant Colonel Solomon van Rensselaer, to serve as his aide. Solomon had fought and was seriously wounded during Major General Anthony Wayne’s Fallen Timbers campaign in 1794. He brought badly needed order to the untrained, ill-supplied regiments of militiamen straggling into camp near Lewiston. The only senior regular officer present was Brigadier General Alexander Smyth who commanded a brigade of raw recruits at Buffalo. Smyth, however, disgracefully refused to cooperate with van Rensselaer and his militiamen. By October, van Rensselaer had about 2,400 regulars and 4,000 militiamen gathered along the Niagara. Smyth’s brigade of 1,200 regulars was positioned near Buffalo. Another body of regulars, about 200, garrisoned Fort Niagara. Van Rensselaer would attempt the crossing with about 4,400 men, greatly outnumbering Major General Isaac Brock’s British forces of 450 near the village of Queenston (sometimes referred to as Queenstown). 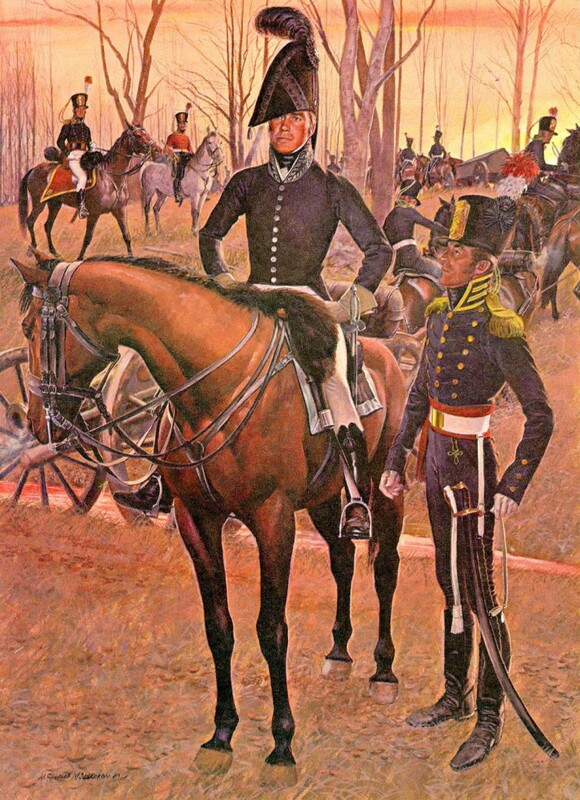 Van Rensselaer decided to cross at Queenston and then to move on to clear the Niagara River of British forces in preparation for an offensive the following spring. He was well aware of limitations that would work against his superior numbers. The Americans had only thirteen boats and pilots immediately available, and these could only carry about 300 troops in each wave. The river at the crossing site was rife with back currents and swirling eddies throughout its 250-yard width. The riverbanks were high and easily defended. The British had positioned several guns at the crossing site, including an eighteen-pounder half way up the escarpment and trained upon the American embarkation point. While van Rensselaer ordered a nighttime crossing to mitigate the danger, the gun would prove a deadly menace once the sun rose. At 0400 on 13 October, the first wave, led by Lieutenant Colonel van Rensselaer, set off for the Canadian side of the Niagara. Three boats, their pilots unable or unwilling to land in enemy territory, returned to shore. Van Rensselaer, with about 225 men, landed at the base of the escarpment and soon came under heavy musketry. The Americans drove back their attackers, but not before van Rensselaer and half of the officers were wounded. Weak from five musket wounds, van Rensselaer was evacuated to the American shore. With van Rensselaer out of action, Captain John E. Wool of the 13th U.S. Infantry took command of the landing party. Wool led his men into the gorge and found a trail leading to the top of the escarpment. Once on high ground, he led an attack down the slope and captured the eighteen-pounder gun, eliminating the most dangerous impediment to the crossing. Elsewhere, however, the crossing quickly became a debacle. Waiting militiamen saw boats returning with the dead and wounded. While hundreds more of Americans would cross, thousands of militiamen refused to enter the boats, claiming their rights under the Constitution to decline orders to enter a foreign country. Major General van Rensselaer and his officers vainly attempted to encourage their men to come to the aid of those who crossed. At the same time, Lieutenant Colonel Winfield Scott took command of the approximately 900 American soldiers gathered atop the escarpment on the Canadian side of the river. Brock, who was at Fort George as the Americans began their amphibious assault, heard the cannon fire and rode to the scene of the action. Understanding that the eighteen-pounder was critical to the defense, he led a counterattack to recapture it. An American infantryman shot and killed the brave general, and the assault collapsed. That afternoon, Brigadier General Roger Hale Sheaffe arrived with about 900 British regulars, militiamen, and allied Indians. Native warriors unleashed war cries that terrorized the Americans. At about 1500, Sheaffe led his lines forward, overrunning the American position. The British suffered 132 casualties; American losses included about 250 dead and wounded. Additionally, 436 regulars marched off to prison, including Scott. The British paroled the 489 militiamen brave enough to cross the river. 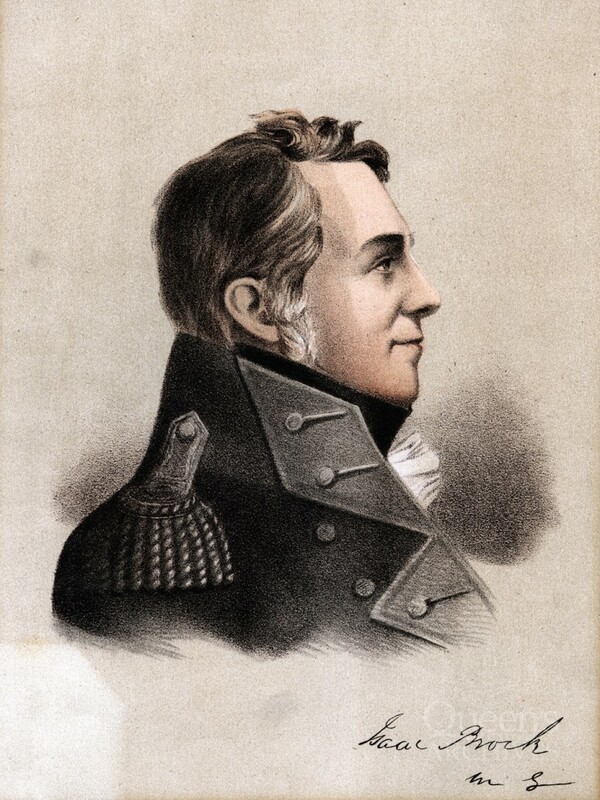 Following the defeat, Major General van Rensselaer resigned his commission and returned to his estates near Albany. With van Rensselaer gone, Smyth decided to cross the Niagara near Buffalo. In late November, Smyth ordered his troops into boats. With British soldiers standing ready on the opposite shore, Smyth called off the attempt on 30 November, claiming that he did not have enough men to guarantee success. As a result, his army held him in contempt. Fearing for his life, Smyth departed camp. The War Department quietly dropped him from the rolls. The year ended in failure, with no American soldiers except prisoners on the Canadian side of the Niagara River. In 1813, John Armstrong, the new Secretary of War, sent new orders to Major General Henry Dearborn, commander of the Northern Army. Understanding that control of Lake Ontario was crucial, Armstrong directed Dearborn to cooperate with Commodore Isaac Chauncey to seize the major British naval base at Kingston. Dearborn and Chauncey overestimated the number of troops at Kingston and replied that an attack there would be fraught with risk. Instead they offered an alternate plan. They would first raid the smaller naval base at York (modern Toronto) and then capture Fort George. These operations would then be followed by efforts to seize Kingston. Armstrong reluctantly agreed. Dearborn and Chauncey raided York on 27 April and seized the town. While the Americans captured large quantities of vital supplies, the cost was high. Brigadier General Zebulon Pike, famous for his explorations of the American West, and thirty-eight other Americans died and 224 more were wounded in the explosion of the main magazine. Undeterred, Dearborn and Chauncey set about preparing for the attack on Fort George. Winfield Scott, released in a prisoner exchange and promoted to colonel, conducted the detailed planning. Scott knew that the destruction of the British force was more important than the mere seizure of the fort. Therefore, he planned for the major landing to be made just west of the town of Niagara (present day Niagara-on-the-Lake). In addition, a large detachment of dragoons under the command of Colonel James Burns would cross the Niagara and cut off any British withdrawal south towards Queenston. U.S. Navy officer Oliver Hazard Perry, later the hero of the Battle of Lake Erie, joined the invaders and set about placing buoys in the waters of Lake Ontario to mark the firing positions of Chauncey’s warships. The landing on the morning of 27 May 1813 was perhaps the best planned and executed Army-Navy operation of the war. While Scott’s advance guard hit the narrow landing beach, naval vessels bombarded enemy positions on both flanks of the landing site. As Scott and his men clambered up a twelve-foot high embankment, they were met by hundreds of British regulars and militiamen. Scott, dodging a bayonet thrust, fell down the embankment. Dearborn, watching from a nearby vessel, shouted that Scott was killed. Scott pulled himself up and started once again to surmount the steep bank. The brigade of Brigadier General John Boyd followed the advance guard and their combined weight pushed back the British line. Brigadier General John Vincent, the British commander, saw thousands more American soldiers in boats heading relentlessly to shore. Vastly outnumbered and fearful of losing his army in the fort, Vincent directed a withdrawal. 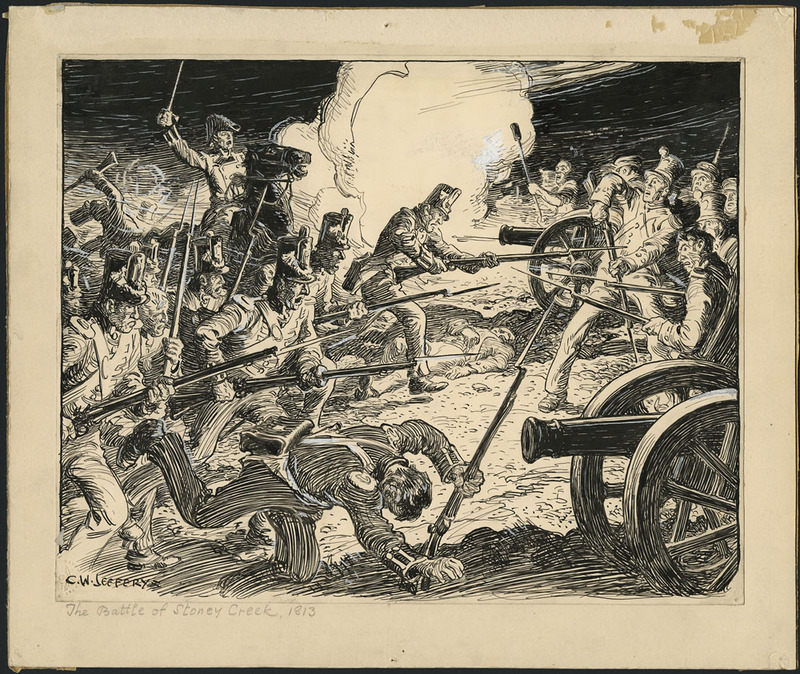 Scott ordered a battalion of riflemen to maintain contact with the retreating British while he led two companies of artillerymen fighting as infantry toward the now abandoned fort. Impatient, Scott entered the fort’s gate just as the magazine exploded. A flying timber knocked Scott from his horse and the dazed colonel broke his collarbone in the fall. Undeterred, Scott found an axe and proceeded to chop down the British flag while Captains Thomas Stockton and Jacob Hindman went to each of the six bastions and snuffed out fuses meant to destroy the earthen and timber gun positions. Scott assembled his men and pursued the British heading south. The dragoons sent to intercept the British crossed the Niagara too late. Scott added these troopers to his force and very nearly caught up with the rear of the British column when written orders arrived to call off the pursuit. He disregarded these orders until Boyd arrived in person to deliver Dearborn’s command. Scott led his tired soldiers back to Fort George while Vincent led his equally exhausted men to the relative safety of Burlington Heights, forty-eight miles away. Dearborn eventually ordered an attack against the British position on Burlington Heights. On the evening of 5 June, Brigadier Generals John Chandler and William Winder encamped their respective brigades in a meadow a few miles short of the British defenses. The next day, they would assault the British position. However, in the very early hours of 6 June, about 800 British regulars moved stealthily toward the American camp. Vincent had ordered his men to remove the flints from their muskets and to conduct a bayonet attack on the sleeping Americans. Unfortunately for the British, some of the officers and men cheered as they began their assault. The Americans, who had been sleeping fully clothed with weapons at their side, rose and fired volleys into the British ranks before them. The night was pitch black and the fighting confused in what became known as the Battle of Stoney Creek. A British officer gathered a small number of soldiers about him and charged directly into a battery of four guns in the center of the American line. The attack overran the battery as the artillerists had left their muskets stacked in the rear. Unaware that the position was now in British hands, both American generals, Chandler and Winder, moved to the guns to direct their fire and were captured. The British, however, believing that their attack had failed, withdrew in the darkness. The following day, Dearborn recalled the leaderless American brigades to Fort George. Dearborn made one final attempt to regain the initiative. On 24 June, Lieutenant Colonel Charles Boerstler led the 14th U.S. Infantry on a raid to seize a supply cache atop the escarpment. Boerstler and his men were surrounded by Indian warriors near the settlement of Beaver Dams. With thirty of his men killed and fifty wounded, Boerstler feared a massacre and surrendered his command. When news of the defeat reached Secretary Armstrong, he sacked Dearborn. While American forces retained Fort George on the Canadian side of the Niagara, they remained loosely besieged in the fort for the remainder of 1813. In July, Armstrong gave command of the Ninth Military District, in which the Niagara Region fell, to Major General James Wilkinson. Wilkinson gave orders for the bulk of his troops to move to Sacket’s Harbor on Lake Ontario preparatory for a move on Montreal. Slowly the American regulars at Fort George were replaced by militiamen. Governor Tompkins gave local command to Brigadier General George McClure. In early October, McClure arrived at Fort George with about 1,400 militiamen who agreed to serve in Canada. His command also included a company of Canadian Volunteers, many of them American-born. McClure ordered patrols throughout the area and contemplated attacking Burlington Heights; however, the term of service for his militiamen ended in early December. Since there would be too few regulars remaining to defend the fortification, McClure abandoned Fort George. Prompted by the leaders of the Canadian Volunteers, he burned the village of Niagara. Elderly men, women, and children were given but an hour’s notice to leave their homes. In the cold and snow, these civilians sought shelter with neighbors and family. This wanton destruction brought an immediate reprisal. To avenge the burning of Niagara, Lieutenant General Sir Gordon Drummond ordered a bayonet assault on Fort Niagara for the evening of 18 December. In the dark, 560 British regulars broke into the fort and killed more than sixty Americans, many of them after they had surrendered. While a few Americans escaped, the British captured 344 soldiers and immense quantities of clothing, shoes, tents, and food. Over the next two days, Drummond’s regulars and a large number of Indian warriors descended upon the villages of Lewiston and Manchester on the river and the nearby Tuscarora village, looting and burning. On 29 December, 1,000 British regulars and 400 Indians crossed the Niagara River near the village of Black Rock. The local militia put up a stalwart but brief defense before withdrawing. The British burned Black Rock, Buffalo, and nearly every structure along the river. Civilians had only minutes of warning as Indians rampaged through the area, scalping about a half dozen people. The civilians fled into the countryside with only the clothes on their backs. With the defeat of Napoleon, Britain began sending thousands of experienced soldiers to punish America and perhaps to push the border southward. Madison and Armstrong shook up the command structure in early 1814, promoting Brigadier General Jacob Brown to the rank of major general and Colonel Scott to brigadier general. Both of these officers had a reputation for aggressiveness. Armstrong and Brown deliberated over strategy, eventually settling on a major campaign to clear the Niagara Peninsula. While Brown planned the upcoming operation, he sent Scott to Buffalo to train the nucleus of what would soon be known as the Left Division. Scott’s efforts in training have become part of Army lore. He standardized tactical doctrine and taught groups of officers in the evenings. During the following day, these officers drilled their men unremittingly. Scott enforced discipline and camp sanitation. He ensured that every soldier had his personal equipment and knew how to use his weapon. Courts-martial sent deserters to the firing squads. Late in June, new uniforms arrived. Scott expected the standard blue coatees. Instead, the men opened the boxes to find gray jackets. Despite Scott’s disappointment, his well-trained, motivated soldiers would triumph in these simple uniforms. As the date for invasion drew nearer, more troops arrived at Buffalo. Soon Brown’s Left Division included two brigades of regulars and one brigade of volunteers and Iroquois Indians. The Left Division crossed the Niagara River near Buffalo on 3 July and captured Fort Erie the same day. The men moved north relentlessly on Independence Day and stopped just short of the British position across the Chippewa River. On 5 July, Brown concentrated his division in preparation of maneuvering the British out from behind their strong river defenses the next day. However, British Major General Phineas Riall had other ideas. This pugnacious general believed his opponents to be weak and inexperienced, and that the American force could be crushed with a single hard blow. At 1600, Riall ordered three battalions of experienced infantry, supported by artillery and a company of dragoons, across the Chippewa River headed directly to the American camp behind Street’s Creek. When Brown saw a large cloud of dust over the bridge across the Chippewa, he knew that his division would soon be under attack. Brown ordered Scott to cross Street’s Creek and give battle. Major Henry Leavenworth’s combined battalion of the 9th and 22d U.S. Infantry Regiments led the way and immediately came under artillery fire. Months of training paid off as Scott’s Brigade quickly crossed the creek, formed line, and returned musketry fire. Captain Nathan Towson brought his battery into action and took the Royal Artillery guns under fire. The number of troops involved on both sides was relatively equal, with Riall and Scott each having about 1,400 regulars exchanging musket and artillery fire in an open meadow. Volley after volley crashed into the opposing lines. Riall reputedly thought that the Americans across the field from him were militia, but their steadiness and skillful maneuver caused Riall to declare “These are regulars, by God!” After two years of spirited but amateurish battlefield performance, these elements of the U.S. Army had finally achieved parity with British regulars. Eventually the British line cracked and Riall led a skillful withdrawal to safety across the Chippewa River. The Left Division won its first major battle of the campaign. News of the victory spread across the country, drawing attention to Brown, Scott, and the men of the Left Division fighting on the Niagara. For the next two weeks, Brown tried unsuccessfully to lure the enemy out from Fort George to give battle. Drummond sent substantial reinforcements to the Niagara Peninsula and, in a bold move, started massing his forces along Lundy’s Lane near Niagara Falls and only a few miles north of the Left Division. Brown was caught unawares of the British movement. On the afternoon of 25 July, Brown sent Scott to take his brigade to reconnoiter toward Queenston. Scott soon found the British drawn up on a low ridge. Despite being heavily outnumbered, Scott ordered his forces to open fire at long range. He sent Major Thomas S. Jesup and the 25th U.S. Infantry into the woods to move toward the left of the British position. In an unequal contest, British artillery crashed through the American ranks, slowly draining Scott’s command of men but not of courage. Brown heard the cannon fire and immediately set his two other brigades into motion. Arriving in the darkness, Brown saw Scott’s shattered brigade. He also saw opportunity. Despite the odds, he finally had the British outside of their defenses, and he ordered Colonel James Miller of the 21st U.S. Infantry to attack the British guns atop the ridge. Miller famously responded, “I’ll try, Sir!” The two battalions sent to support Miller’s attack were stopped cold, but Miller’s men assaulted the artillery and captured the guns. Three times, the British infantry supporting the artillery battery counterattacked Miller and his men, and three times they withdrew in the face of withering musketry. Meanwhile, Jesup and his men assaulted out of the woods and threw the left of the British line back into the darkness, gaining control of a vital cross road. The 25th Infantry captured Riall, who had been wounded, and hundreds of British soldiers who were entirely unaware of the turn of events. Drummond was as determined to recapture his lost guns as Brown was of retaining them. In pitch darkness, Drummond sent all of his division, nearly 3,000 men, up the slopes of the ridge and three times the Left Division threw them back. While Scott conferred with Jesup, a fusillade of musketry wounded them both. Scott’s wounds were so severe that he was knocked out of action for the remainder of the war. Moments later, Brown was struck down. At this critical moment, Drummond decided to break contact. The British quietly withdrew and Brown sensed that the battle was won. He turned command over to Brigadier General Eleazar Ripley with orders to bring the men back to camp to replenish ammunition and water. Brown then ordered Ripley to return the division to the ridgeline at dawn to await the next British attack. When Ripley and the depleted but proud Left Division returned the next morning, they found the British atop Lundy’s Lane in overwhelming numbers. Ripley decided to end the campaign and bring the division back to New York. However, Brown, from his hospital bed, ordered Ripley to defend Fort Erie. Disobeying Brown’s order to make a stand the fort, Ripley soon lost the confidence of his commander. As a result, Brown ordered Brigadier General Edmund Pendleton Gaines to come to Fort Erie and take command. The Left Division quickly built a fortified camp, anchoring the north end on Fort Erie. When Drummond arrived a week later, he found the Americans behind strong field fortifications. In an effort to drive the Americans out of their positions, he attempted to cut their supply lines at Buffalo. 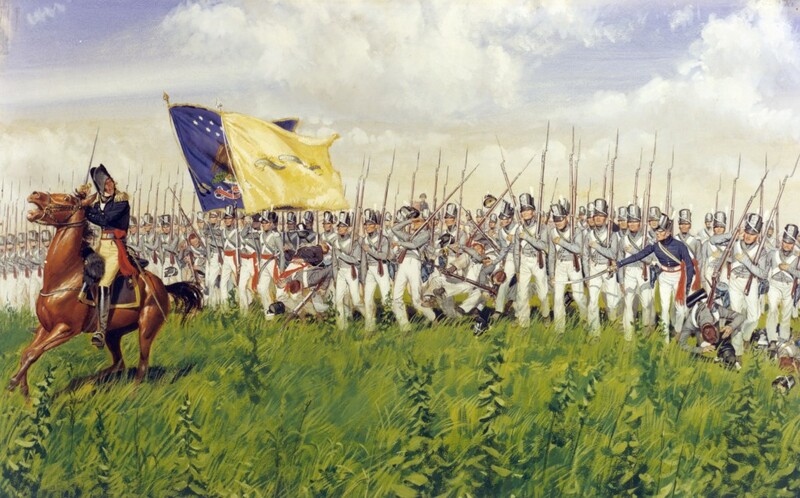 In the early hours of 3 August, 600 British regulars crossed the Niagara but were easily thrown back by Major Ludowick Morgan and his battalion of riflemen from the 1st U.S. Rifle Regiment at Conjocta Creek (now called Scajaquada Creek). With this defeat, Drummond decided to open a formal siege of Fort Erie. British guns opened fire on 13 August. At 0200 on 15 August, the British conducted a three-pronged bayonet assault of the American camp. Gaines and his men were prepared for the attack and readily repulsed two of the three assaults. 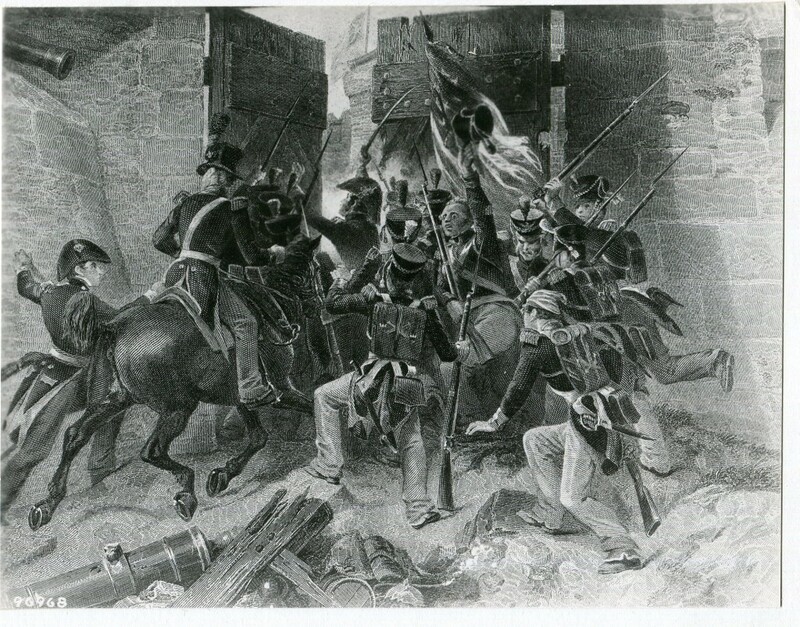 The third onslaught captured one of the bastions in Fort Erie, and for three hours, the British held on in the face of repeated American counterattacks. The fighting was hand-to-hand with no quarter asked for or granted. Suddenly, a massive explosion tore open the bastion throwing stone, timber, and men upward. The blast annihilated the British force and the few survivors withdrew to their lines in the darkness. Drummond reported 905 casualties while Gaines reported seventy-four. Among the British dead was Lieutenant Colonel William Drummond, the general’s nephew. For the next six weeks, British artillery fire crashed into the fort as infantry skirmished in the surrounding woods. The Americans evacuated their casualties by boat each night and took the wounded to hospitals in Buffalo and Williamsville. Morgan was killed in a skirmish outside the fort and a seriously wounded Gaines was evacuated after a shell exploded in his tent. Brown, still not recovered from his wounds, re-assumed command. Governor Tompkins of New York ordered out 3,000 militiamen to assist the desperate soldiers of the Left Division. Militia Brigadier General Peter B. Porter persuaded 2,200 of them to cross the Niagara to reinforce the beleaguered garrison. With the additional troops, Brown now had the strength to break the siege. On 17 September, two columns of Americans, a combined force of regulars and militia, moved into the forest in a light rain and stealthily made their way to the first of three enemy batteries. The Americans took the first battery by surprise and quickly overwhelmed it. British support troops a mile away formed up to retake the lost battery, but not before the Americans fell upon the second battery. Here the British were more prepared. The fighting was at close quarters as the rain rendered many muskets useless, forcing the soldiers to rely on their bayonets. Militia Brigadier General Daniel Davis died at the head of his men as did Colonel James Gibson of the 4th U.S. Rifle Regiment. Porter was wounded, captured, and then freed. Brown sent the reserve into the woods to help extricate his troops as the British reinforcements crashed into the melee. Slowly the Americans withdrew back to Fort Erie, having destroyed a number of siege guns. The Americans suffered 511 casualties, the British 719. Drummond broke off the siege and headed back to safety behind Chippewa River. Maneuvering and fighting continued for six more weeks, but Drummond skillfully avoided a decisive battle. In early November, the Americans blew up Fort Erie, crossed the Niagara, and entered winter quarters in Buffalo. In February 1815, the Senate approved the Treaty of Ghent and peace returned to a ravaged border. The battles fought along the Niagara River marked the progression of the skill of the U.S. Army and the professionalism of its officers. From the catastrophe at Queenston Heights, the Army improved until it could meet one of the world’s best land forces on even terms. Many of the officers who had fought along the Niagara River remained in the service after the war and infused the Army with a spirit of confidence, competence, and service to the nation.